Brand new unused new old stock triple mica 1980's and 90's Chinese 12AX7's with the dimpled square foil getter. 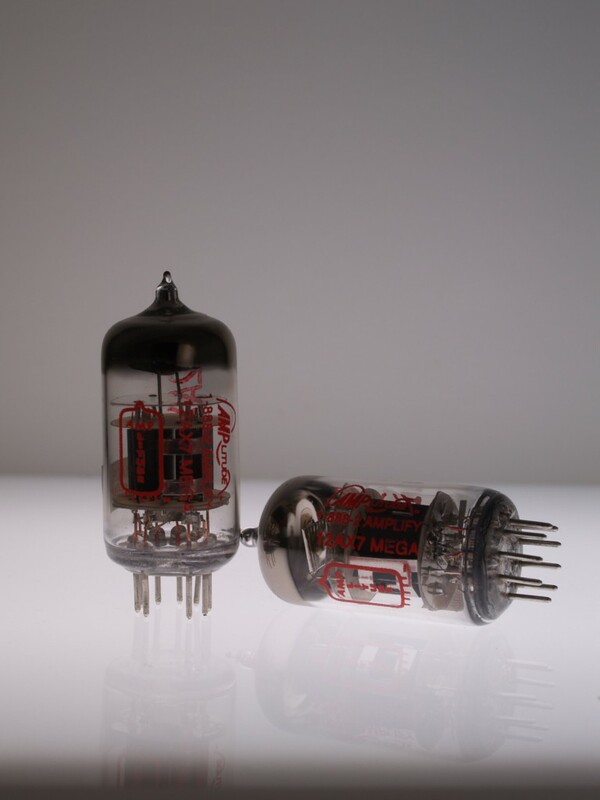 Mesa Boogie, Marshall and Peavey used these tubes back then. These test high grade so should probably be avoided in the most sensitive V1 spot, but are fine for V2 and down the line. Limited supply of these out of production tubes from the closed Beijing tube factory. Purchase 5 and save $10. I started with this tube kit and then made a few changes. I went with the NOS Beijing China 12AX7. In fact, I used 2 of these. Made a huge difference to the burn channel. The gloves came off and now this amp growls with the best of them. The clean channel just sounds pristine. I put these in the v1,v2,v3 positions of a Rivera Knucklehead K-Tre Reverb. Not more then 10 minutes of playing, I now know why they are revered by so many. These are the most balanced sounding tubes I have ever came across.